Do you want to market to doctors? Why not buy an extensive contact list of physicians from Bookyourdata.com? This list is full of general and family practitioners who serve many communities. Find and market to them easily with this accurate data today! General practitioners can be found and contacted today using this targeted physician database. Pulling together the contact information of a spread-out group of family and general practices together into one resource, this directory is the perfect tool for pharmaceutical and medical equipment marketing. It contains the information you need to start networking: emails, phone numbers, and more. If you want to connect with doctors, then this lead list is an essential tool for getting started. Serving a wide group of patients regarding many different diseases and health issues, general and family practitioners need to have extensive medical knowledge about a vast array of diseases. They often give recommendations to specialists, prescribe medications, and are the first point of contact when someone is asked to consult their doctor. Often the doctors with the most face-to-face time with the public, general practitioners are a valuable group for those marketing pharmaceuticals, medical equipment, supplies, and educational tools. This is a highly sought-after group whose contact information has been organized into one easily integrated data file. 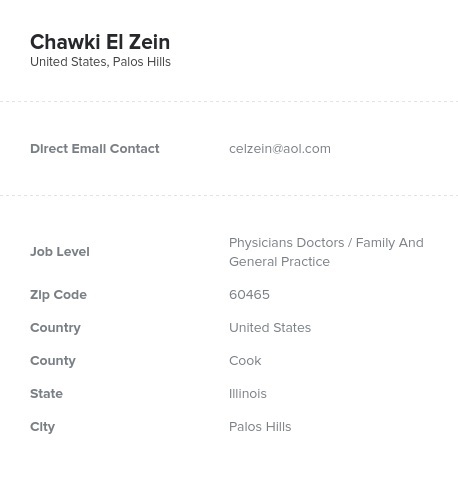 Download it, pull it into your CRM, and start networking with doctors within minutes! Let some of the most influential physicians out there know about your product with this ready-to-download mailing list from Bookyourdata.com.